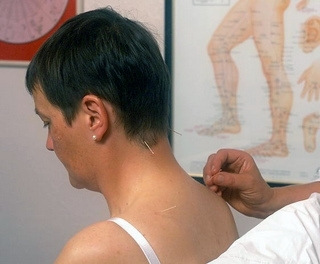 Acupuncture treatments in Tamworth Staffordshire are painless and there is no need to fear the needles. The acupuncture needles are so fine you will generally not even feel them. Our Female acupuncturist Cherry Richards is an acupuncture university graduate with years experience in treating pain, emotional conditions, digestive disorders, hormonal and fertility issues and headaches. We have a 5 Element Female acupuncturist who offers fertility treatments. She spent many years in Hong Kong and now assists couples with fertility issues. Couples undergoing IVF treatments can often benefit from fertility acupuncture treatment and the couples attending fertility acupuncture treatment at Tamworth have achieved their desire to start a family. Our acupuncture practitioners are qualified insured and registered for private health insurance work. Pregnancy back pain and sickness. Pregnancy back pain and sickness can be treated with acupuncture and is a safer option than taking medication. Back pain in pregnancy with sciatica symptoms can make life miserable, try acupuncture it may help! Many people suffer from some form of mental illness. Stress, anxiety and emotional disorders which can give panic attacks and headaches can be treated with acupuncture. Headaches can manifest in many forms from tension headaches through to full blown migraines. Removal of chronic headaches can have a life changing effect. High Blood Pressure can be influenced by using acupuncture and as acupuncture treatments can have a relaxing calming effect on your body it is suitable for individuals who lead a stressed lifestyle. Cosmetic enhancement is now popular and acupuncture offers a cheaper and safer alternative to botox injections. Facial enhancement using acupuncture needles can reduce the aging effect on your face by reducing wrinkles and promote a tightening of the skin. Looking younger is a benefit that many people wish they could achieve. Try it and see what it can do for your face!